Dave Cone kicking off the students' visit with an overview of Kahler Automation. Max Haake describing Kahler Automation's Truck Traffic Control systems. 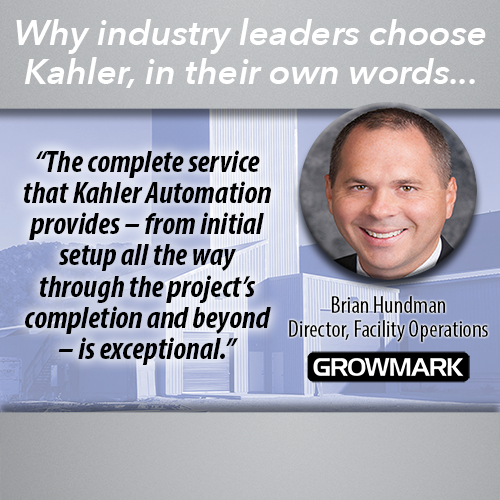 You've got to keep your head up to follow Kahler's automated tripper control system in action. Scott Gemmill showing off a tote filler currently under construction for a customer. Craig Sathoff leading the Minnesota West group through the Kahler Automation facility. Gary Leach (left) chatting with the students about his job as a test technician. Max Haake showing off a fluid dispensing systems testing/support area. Craig Sathoff continuing to show the Minnesota West students around Kahler Automation. The tour wrapped up with instructor Rob Arp (right) chatting with his former students Craig Sathoff and Justin Portz. Various Kahler staff — including CEO Dave Cone, PLC Programmer Craig Sathoff, Software Specialist Max Haake, Manufacturing Engineer Scott Gemmill, Test Technician Gary Leach, and Electrical Design/MCC Specialist Justin Portz — introduced the students to who we are, what we do, and how we do it. 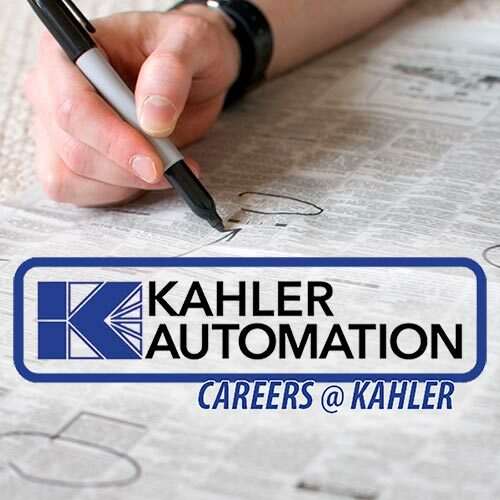 If your school would like to schedule a tour of Kahler Automation, please call us at (507) 235-6648 and ask for Human Resources director Courtney Cutler. For information on Minnesota West Community & Technical College, visit http://www.mnwest.edu.